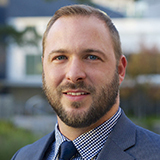 As Executive Director of the Downtown Development District, Davis Rhorer is responsible for carrying out the mission of the DDD to initiate, incubate and support partnerships that develop and enhance Downtown Baton Rouge. In this capacity, Rhorer has worked closely with the DDD Board of Directors, private sector partners and local government to revitalize Louisiana’s Capitol City, helping to attract more than $2.4 billion in investments over the last 20 years. 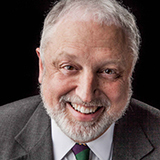 Since the DDD was established in 1987, Rhorer has served as a prominent leader in the development of various plans and initiatives that have transformed the Downtown area, including: the Baton Rouge 2000 Plan, Baton Rouge 2000 Update, the Riverfront Development Plan, the Fourth Street Master Plan, the Capitol Park Master Plan, the New River District Master Plan, the Downtown Visitors’ Amenity Plan and the city’s comprehensive Master Plan for development, Plan Baton Rouge. He is also currently engaged in Phase II of Plan Baton Rouge. Throughout his tenure, Rhorer has played a key role in various riverfront development projects including: the historic restoration and reopening of the Hilton Baton Rouge Capitol Center, the $30 million expansion of the Baton Rouge River Center, the addition of a planetarium and space theatre to the Louisiana Arts and Science Museum (LASM), the establishment of the Shaw Center for the Arts, and the development, funding and implementation of the biking and walking trail on the levee which connects Downtown to Louisiana State University. He was also instrumental in managing and overseeing the massive consolidation of state office buildings, which has brought more than 3,000 state workers to the Downtown area and resulted in the creation of more than 2 million square feet of new class “A” office buildings. By establishing the DDD’s Restoration Renaissance program and supporting the development of single and multi-family units, Rhorer has helped to stabilize two of Baton Rouge’s oldest and most historic neighborhoods and brought thousands of new residents Downtown. With the goal of transforming Baton Rouge into a 24-hour city where people come from all over the world to live, work and play, Rhorer has also aggressively worked to strengthen and enhance Downtown’s infrastructure and position the area as the regional growth center of East Baton Rouge Parish. In addition to its role as an incubator for economic development, the Downtown Development District also functions as a community service organization, which supports special programming and planning for major Downtown events. In this capacity, Rhorer serves as an Executive Board Member of the Big River Economic and Agricultural Development Alliance (BREADA), the organization that directs the Farmer’s Market and the Main Street Market. He is also a member of the Rotary Club of Baton Rouge, the East Baton Rouge Metropolitan Council’s Historic Preservation Commission, the Capitol House Taxing District, Hotel King Taxing District, the Mayor-President’s Smart Growth Task Force, the International Downtown Association and the American Planning Association. He is a 1989 graduate of the Greater Baton Rouge Chamber of Commerce’s Leadership Class, and a past board member of the American Red Cross and the Playmakers of Baton Rouge. In recent years, he has also served on the Plan Baton Rouge Steering Committee and Mayor-President Melvin “Kip” Holden’s Transition Team, providing input on quality of life and economic development issues. A native of Baton Rouge, Rhorer has always focused his work on improving the community. Prior to leading the DDD, he worked as an urban planner for the Baton Rouge Planning Commission and the City Parish Office of Community and Economic Development. He is a graduate of Catholic High School, and he received his bachelor’s degree in landscape architecture from Louisiana State University in 1979. He continued his education with postgraduate work in Florence, Italy. Throughout his career, Rhorer has received numerous community and professional awards. In 1994, he was recognized as one of the Baton Rouge Business Report’s “Top Forty Under Forty.” Two years later he was selected as a Community Hero and had the honor of participating in the 1996 Olympic Torch Relay prior to the Summer Olympics in Atlanta, GA. That same year, he received the Individual Excellence Award from the Baton Rouge Growth Coalition. Rhorer was also honored as Sacred Heart Elementary School’s Distinguished Graduate in 1998 and as the Sales and Marketing Executive’s (SME) Marketer of the Year in 2000. In 2004, he was recognized by Governor Kathleen Blanco, the Louisiana House of Representatives and Senate, Mayor Holden and the Metropolitan Council of East Baton Rouge Parish for his work to improve the quality of life for all citizens. In 2005, he also received the prestigious Quality of Life Award from the Baton Rouge Growth Coalition. Under his leadership, the Downtown Development District was awarded two of the highest honors given by the International Downtown Association – The 2008 Outstanding Achievement Award, for the Downtown Baton Rouge Wayfinding Signage Project, and The 2009 Award of Distinction in Downtown Leadership and Management. Mr. Rhorer was presented the 2010 Patron of Landscape Architecture Award by The Louisiana Chapter of the American Society of Landscape Architects. He has presented a paper at the 2010 World Congress of Downtown and Town Centres in London England. He also was honored by the Foundation for Historic Louisiana for his preservation work in downtown Baton Rouge and received the Patron of Architecture award by the Louisiana Architecture Foundation. In September 2011, Mr. Rhorer was elected to serve on the International Downtown Association board of directors and received the 2011 Merit Award for planning for the Downtown Greenway. In 2012 he received an IDA Merit Award in Urban Spaces – North Boulevard Town Square and two IDA Merit awards in 2013. Repentance Park was awarded in the category of Public Spaces and the Downtown Development District was awarded for its 25 years of accomplishments in Leadership and Management. This marks the sixth year in a row that the DDD has received an IDA award. He and his wife, Julie, have a son, Davis Stribling Rhorer, Jr., who is attending University of Notre Dame Law School. As Assistant Executive Director for the Downtown Development District, Gabriel Vicknair assists the Executive Director with organizational and financial development of the DDD in the accomplishments of its goals and objectives of fostering growth for Downtown Baton Rouge. Vicknair’s work includes planning, developing, and carrying out key administrative and operational programs for the District. 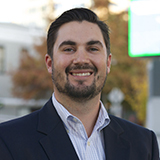 Mr. Vicknair has served the Downtown Development District in several vital positions including Intern, Special Events and Marketing Coordinator, Development Project Director, and Assistant Executive Director. While serving as Development Project Director and as the Assistant Executive Director he has overseen the design, construction, and public processes involved in several projects and marketing initiatives. Working closely with designers and contractors on projects such as North Boulevard Town Square, Repentance Park, and the Downtown Greenway; Vicknair assists with quality control in project design and construction, as well as assistance in the development of scope of work items and outgoing request for proposals. He has also been instrumental in bringing over $3 million in federal and state grant dollars to the organization and City/Parish for the planning and construction of the Downtown Greenway. During his tenure, the Downtown Development District’s projects, programs, and organizational leadership have received over 14 awards. During Vicknair’s position as Special Events and Marketing Coordinator for the DDD, Vicknair designed and produced an Event Procedures and Guidelines manual for the downtown area, and resurrected the downtown Phantom Galleries program that transforms vacant storefronts into temporary art galleries. Vicknair’s duties have also include fostering business partnerships, researching and identifying economic incentives, and managing and conceptualizing numerous marketing and communication initiatives such as the DDD and North Boulevard Town Square websites and marketing collateral for the organization. While earning a degree in Landscape Architecture from Louisiana State University (LSU), Vicknair participated in a semester long internship with Civitas Urban Design and Planning in Denver, Colorado where he studied the redevelopment of the South Platte River corridor and worked on various large scale projects such as the San Diego Embarcadero and the San Jose International Airport. Vicknair also holds over ten years of professional experience in landscape construction, and is working towards Economic Development Certification through LSU’s E. J. Ourso College of Business. As Assistant Executive Director, Vicknair’s work has included the implementation of a range of organizational tasks. He led the process of creating the Design Resource Center (DRC) and the new DDD offices, including coordination of the architect and contractors to transform the 1920’s era space within the Taylor Building. Vicknair oversaw and often personally implemented the integration of the audio-visual infrastructure, branding and marketing, and a range of construction tasks related to the DRC. Gabriel Vicknair serves on the Downtown Business Association (DBA) Board, and is chair of the Policy and Procedures Committee. Vicknair is currently working to develop and improve policy and procedures for the DBA organization, and serves as a liaison between the DBA and agencies within the City/Parish. Vicknair also volunteers on the Live After Five Concert Series and Marketing Committees. Outside of work, he is an avid whitewater kayaker, musician and enjoys spending time outdoors with his wife Sophie and son Koen. As the Special Events & Marketing Coordinator for the Downtown Development District, Casey Tate serves as a liaison between the DDD, the Arts & Entertainment District and the general public, with a primary focus of being a point of contact and resource of information to individuals and organizations that wish to produce special events downtown. He is responsible for marketing downtown activities and initiatives, as well as, maintaining/cultivating relationships with community stakeholders. Tate’s roles at the DDD include designing and producing marketing collateral for the DDD office, as well as coordinating the DDD’s online presence through weekly event emails, maintenance of the DDD website, and social media outlets such as Facebook and Twitter. Tate also assists the Downtown Business Association marketing committee to help promote downtown businesses and events. Along with promoting all downtown events, Tate is responsible for the programming of North Boulevard Town Square, Galvez Plaza Event Stage and Repentance Park. He has developed the guidelines regulating the proper use of these spaces and is responsible for assisting local organizations and artists, ensuring the spaces are activated on a daily basis and the guidelines are adhered to. After earning a Bachelor of Landscape Architecture from the Robert Reich School of Landscape Architecture (LSU), Tate was an intern for two non-profit organizations specializing in planning and land conservation where he conducted various research and outreach initiatives. When Tate is not downtown he is a true Louisiana sportsman and family man, spending his free time at his houseboat in the Atchafalaya Basin and at home with his wife Emily, 2 dogs, and 2 chickens. As Development Project Director for the Downtown Development District, Whitney JH Cooper assists the Executive Director and Assistant Director with project management of special Downtown Development District initiatives; forming and maintaining partnerships with the public and private sector, developing strategies, formulating policies and procedures to implement projects, developing grant application and reporting materials, and furthering the vision outlined for downtown in various Downtown Master Plan documents. While working at the Downtown Development District, Ms. Cooper has worked with interdisciplinary teams organizing, managing, researching, and developing fast-paced projects that align with the Downtown Development District’s mission. Ms. Cooper’s work is committed to the effective and efficient development of policies, procedures, and implementation efforts that enhance Downtown Baton Rouge’s cultural attributes, environmental systems, and economic stability. Downtown project experience includes the Downtown Greenway, Florida St and River Road Levee Access, and Louisiana Arts and Science Museum Plaza. Ms. Cooper also assists the Downtown Development District with communications, marketing, and public relationships initiatives. Ms. Cooper has planning experience and knowledge of community and urban planning, architecture, and landscape architecture systems that she gained from her professional work and education. 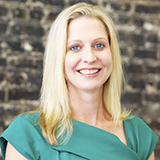 She has professional bachelor’s architecture degree from Louisiana Tech University and landscape architecture master’s degree from Louisiana State University Robert Reich School of Landscape Architecture. Prior to her work at the DDD, Ms. Cooper gained professional experience in the private, non-profit, and government sectors managing multiple types and scales of projects, plans, and programs. While working in the private environment she focused her efforts on the sustainable and ecological design of public spaces, developed ecological and community plans, and wrote the Louisiana Statewide Comprehensive Outdoor Recreation Plan (SCORP). Ms. Cooper’s work in the non-profit and governmental sectors included the planning and implementation of housing and economic development initiatives within East Baton Rouge Parish. Whitney JH Cooper also currently serves as Secretary on the Executive Committee for the Louisiana Chapter of the American Planning Association, as well as a member of the Board of Directors for the Baranco-Clark YMCA in Baton Rouge. In her free time, she enjoys gardening with her son, Rayne, and watching him play sports. 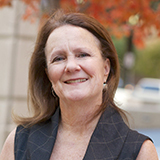 As Administrative Specialist II for the Downtown Development District, Mary Olinde has performed administrative and office support activities for the Executive Director and Assistant Executive Director of the DDD since 1987, helping to ensure that the DDD office operates efficiently while presenting a positive and helpful public image. Mrs. Olinde’s assistance includes but is certainly not limited to the transcription of DDD Commission Meeting minutes, scheduling, payment processing, and assisting the general public. She has been consistently recognized throughout the years by the City of Baton Rouge as an employee of excellence. Mrs. Olinde, a Baton Rouge native, is married to Mr. Randy Olinde, and they have two sons, one granddaughter and two grandsons.